My name is Amanda, and I’m addicted to Instagram. I thought it could be solved by turning off notifications, but alas — that only led to checking the app more often. So, one Saturday night, I decided that it was time to quit cold turkey: to deactivate my account, delete the app from my phone, and call it quits with Instagram for good. Spoiler alert: I failed, miserably. But it turns out that there’s some science behind my failed attempt to quit Instagram — and that I’m not alone in breaking up with the app, only to come back to it. Here’s what happened when I tried to quit, and why those efforts may have been doomed from the start. It seems as though there’s an app for everything, especially when it comes to social media. Of course, there are the networks themselves, but there also exists myriad apps to manage your presence on them: to schedule posts, Like posts in bulk, and even see when someone has unfollowed you. 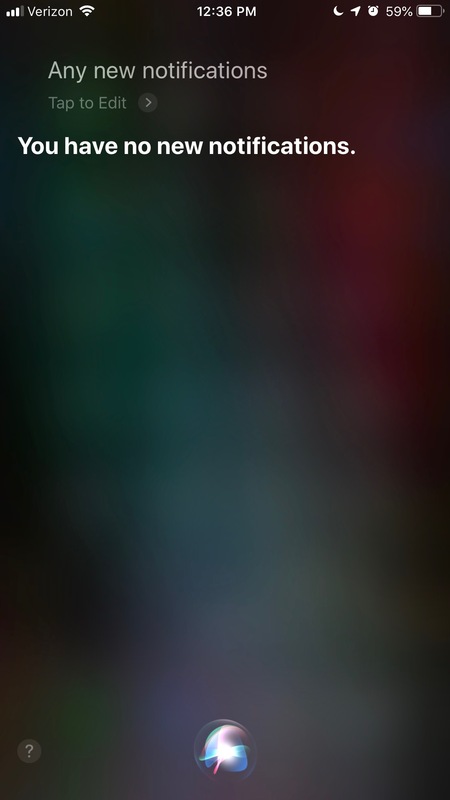 It was an app for that last part that got me into trouble. On top of my existing Like mania, it turns out that seeing who had unfollowed me on Instagram didn’t exactly instill positive feelings. Yikes. That question didn’t just apply to the unfollower-count app — it also applied to Instagram itself. And so, I quit. For about 72 hours. At first, it felt quite liberating and validating. 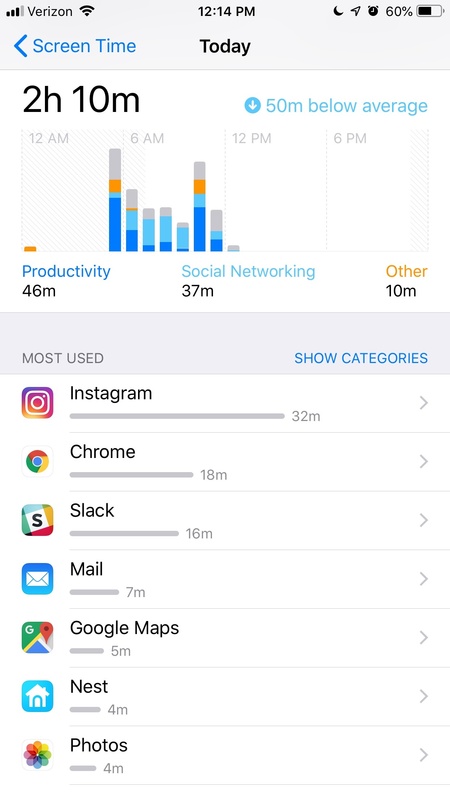 My iPhone’s Screen Time report quickly noticed the decrease in time spent on the site, even during a condensed period, which made me feel like I had made the right decision. In fact, Instagram wasn’t even ranked within my top five most-used apps anymore. Yippee! But it wasn’t long before my fear of missing out (FOMO), as the phrase goes, started to kick in. I missed seeing what my friends were up to, despite the absence of Instagram spurring me to actually check in with messages like, “How’s your weekend going?” My parents missed seeing the flood of pictures of my dog that I would usually post. And most of all, I missed sharing these visual moments from my life. So, this morning, I reinstalled the app. So, why is it so hard to quit Instagram? Just how addicting are social media apps — and are they designed to be that way? And how many people have also made similar efforts, only to fail just as spectacularly as I did? I’m not the only one asking these questions. Academic researchers have turned them into full-blown studies, showing a variety of conclusions. But among the most interesting research outcomes, many experts have found that there is an addictive quality to social media apps — Instagram, in particular. 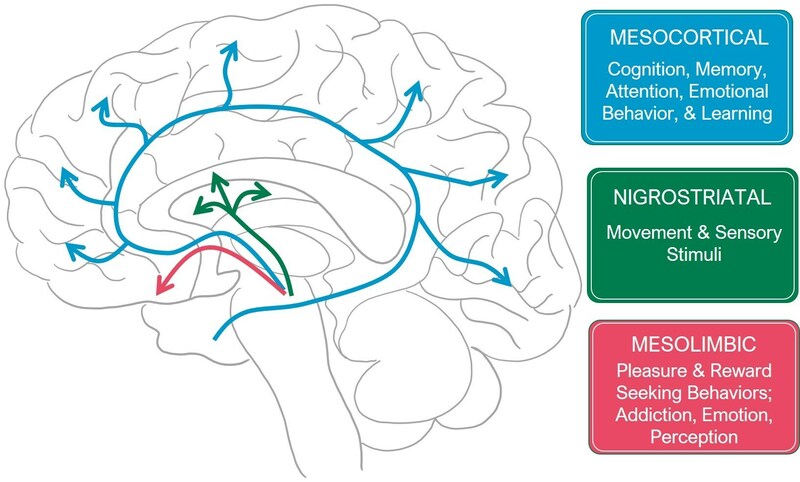 Take this article from Harvard University about the connection between dopamine production and social media notifications. 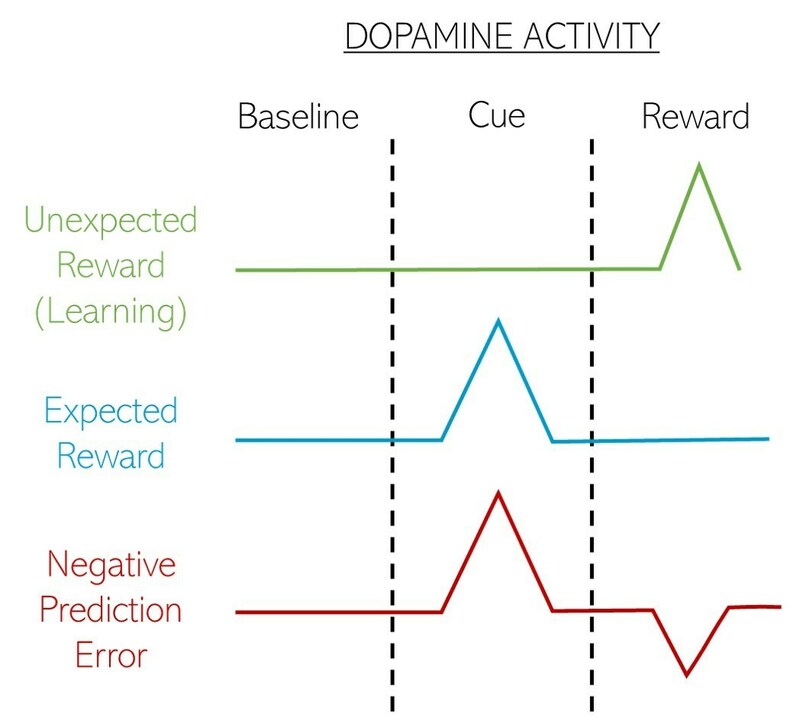 Dopamine, the story explains, “is a chemical produced by our brains that … gets released when we take a bite of delicious food [when] when we have successful social interactions.” In other words, it’s a chemical that makes us experience a sense of reward. But should we engage in these reward-inducing behaviors enough, explains the articles author, Harvard Medical School’s Department of Neurobiology research technician Trevor Haynes, we begin to become addicted to them, and expect a sense of reward when we perform them. And one of those behaviors, it turns out, is checking social media. The way that psychobiology plays out with something like Instagram, is that when you open the app, you expect to see notifications that your content has been liked or otherwise engaged with. We become accustomed to being rewarded for the behavior of opening the app, and therefore, addicted to doing so. But when we open the app only to find no notifications, the sensation might be similar to biting into a piece of food that’s unexpectedly repulsive, or telling a joke for a crowd that completely falls flat. Are Social Media Apps Designed to Be Addictive? Okay, so maybe apps like Instagram play a big role in these dopamine triggers — but are social apps actually designed to be addictive? We asked 833 internet users across the U.S., UK, and Canada if they think so. 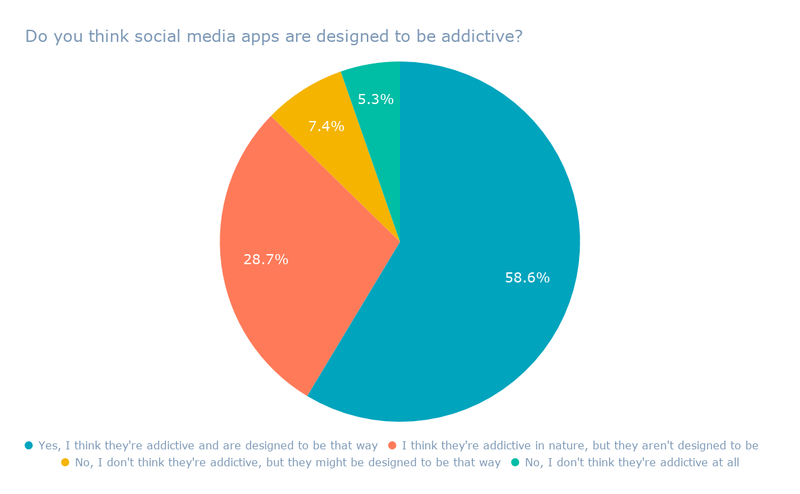 Over half of the respondents indicated that social media apps are not only addictive — but that they are, in fact, designed to be that way. There may be some truth behind that public perception. 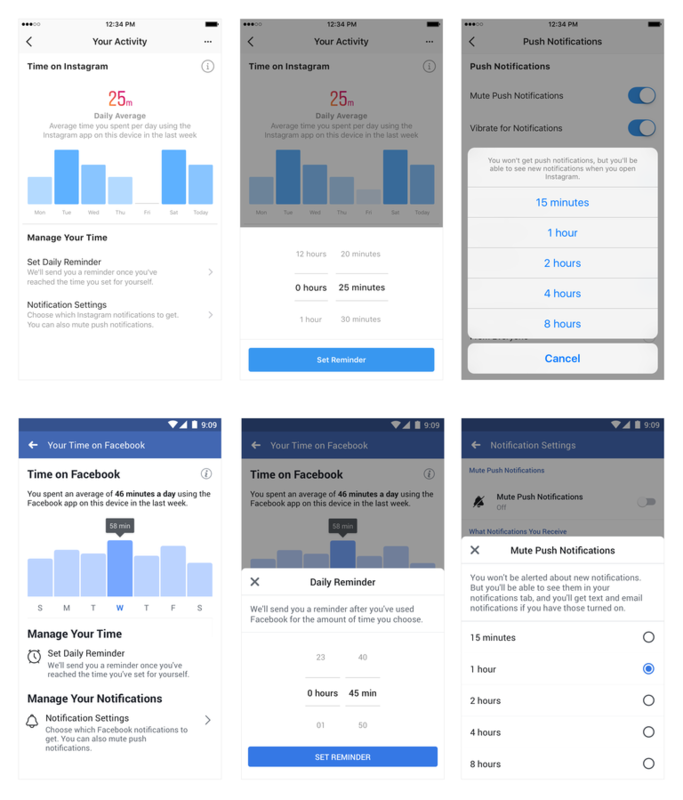 According to a “60 Minutes” interview with technologist and neuroscientist Ramsay Brown, Instagram will sometimes withhold notifications of Likes and comments for a prolonged period of time, only to release them in a bulk at once. That pattern of notification withholding-and-bursting encourages users to check the app more frequently, suggests Haynes. So maybe that’s why it’s so hard to quit. 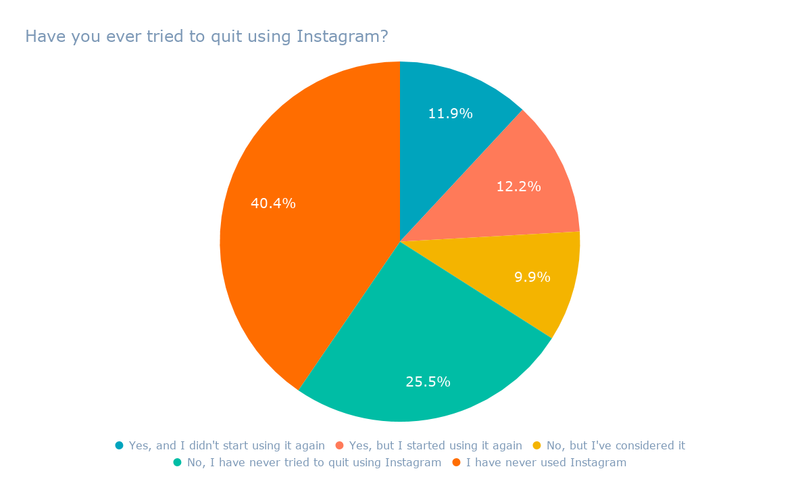 To find out if I was alone in my challenge to stay away from Instagram for good, I ran another survey of 832 internet users across the U.S., UK, and Canada, asking: Have you ever tried to quit using Instagram? Interestingly, about 40% of respondents indicated that they had never used Instagram in the first place. 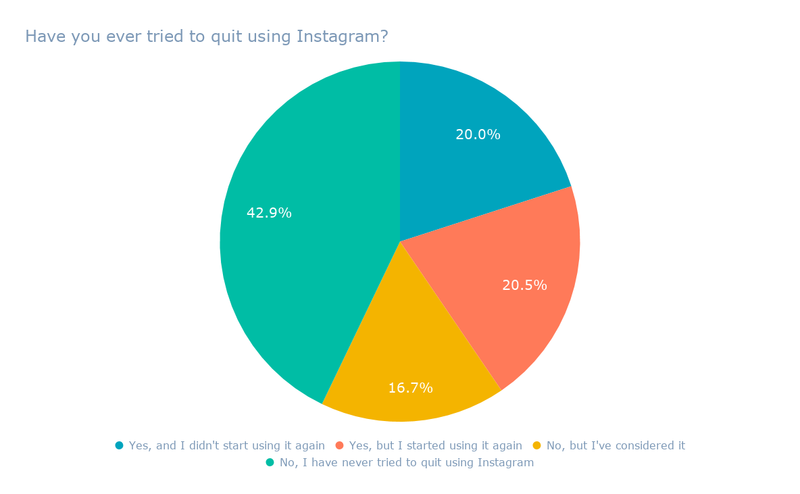 When adjusting for that, just under half of the remaining 500 participants said that they had never bothered trying to quit using Instagram — or considered it — in the first place. And while these results alone can’t say for certain, it’s possible that this reluctance to quit the app altogether could be due to its aforementioned addictive nature. Can the Phone-Checking Crisis Really Be Resolved? It’s an interesting dichotomy — that such a considerable portion of people can both believe that social media apps are designed to be addictive, but at the same time, not want to quit using them. We’ve discussed a similar phenomenon when examining the reluctance of many Facebook users, for example, declining to leave the site or delete their accounts despite the company’s many privacy-related crises. Why is it, I asked, that people continue to stick with social media networks, despite the various risks involved? So on Instagram, it could be that the tradeoff comes in the form of sharing visual snippets of our lives with friends, family, colleagues and strangers — and being able to observe those moments of theirs, along with brands we follow, in return — versus the “threat” of addiction-like repercussions. Of course, social networks and tech companies allege that they are responding in kind. 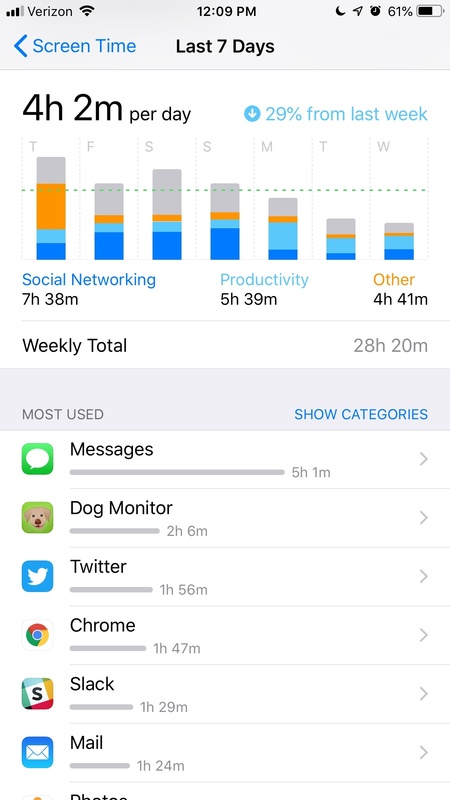 There’s Apple’s aforementioned Screen Time reports, and both Facebook and Instagram have said that they’ll “soon” rollout tools to help users manage their time spent on both apps — though it seems that no one has seen or been able to use those features just yet. As for how effective these tools will be — we’ll have to wait to find out. But in the meantime, this entire phenomenon may serve as an opportunity for marketers and content creators. There are ways, for example, to encourage audiences to both engage with your brand on social media, while also enjoying life offline; for example, asking users to post a photo or video of themselves using your product or service in an offline setting, or sharing content that shows how your brand helps them spend more time doing what they love. But if you’ll excuse me — I have some analog time of my own to attend to.